A global mining company recently reimagined their performance development program, and they wanted to bring that transformation to life across the organization. 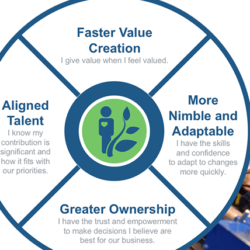 A global company with a history stretching back to the late 1800s wanted to transform their people development program to empower innovative leadership and strengthen their commitment to long-held values. A big part of that shift included evolving their traditional performance management process. It wasn’t producing the results they were trying to achieve, and both managers and employees found the process cumbersome and generally unhelpful. So, the company decided to build a stronger, people-centric culture where values drive everyday decisions and everyone’s development matters. This was no small task. It required all 1,500+ global leaders with people management responsibility to learn new skills and adopt new mindsets. Adding to the challenge is the global nature of the business: whatever approach they decided to take, they would also need to localize the messaging for eight different languages. To help evolve their culture and performance management process, TiER1 worked with the HR senior leadership team to align on their new vision. 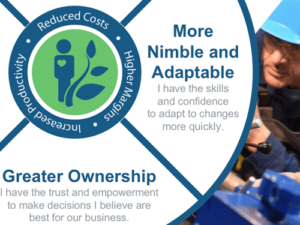 From those initial meetings, we developed a journey map and 3-year timeline that communicated the vision and provided guidance to managers regarding the desired mindset and behavior shifts to create a people-centric culture. 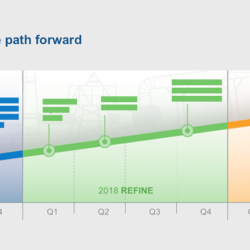 From this timeline, TiER1 helped develop the change management strategy and communication plan, which would bring their transformation to life with succinct, compelling messaging and key stakeholder communications. We knew that a critical aspect of this transformation would be to design a program that would help socialize this concept of being a “people developer” across the globe. Some of the challenges included removing performance ratings, revising compensation to a total rewards system, creating more actionable and aligned performance goals, and equipping managers with the skills necessary to confidently have these conversations. To help managers adopt the desired behaviors and mindsets, TiER1 leveraged our Coach2Lead framework to develop multiple webinar curriculums and training materials. 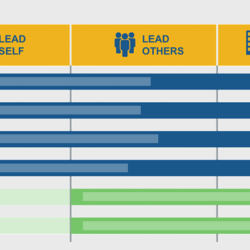 Coach2Lead is a customizable blended learning program that guides and supports leaders over time as they develop, grow, and refine critical leadership and coaching skills. The training materials were localized for delivery in multiple languages by local HR business partners. TiER1 is excited to continue the partnership with our client to further enhance their global program with innovative learning concepts that better equip participants for a successful and rewarding career as leaders and people developers. Our client had a great vision that they needed to bring to life to meet the demands and needs of the future. They partnered with TiER1 because we meet clients where they are to help them get to where they want to be. We were able to help our client define and deliver a transformative approach to performance management and people development. Struggling to get to where you want to be? We can help with that. Let’s talk!